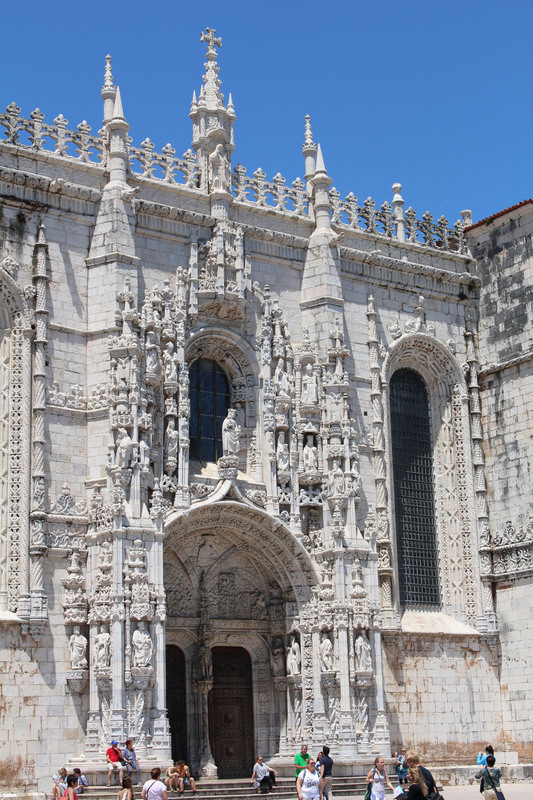 The south portal of the Jeronimos monastery. Designed by Boytac, the portal faces the Tagus. Decorated with mouldings and statues of apostles, saints and navigators, it will futfill the amateurs.